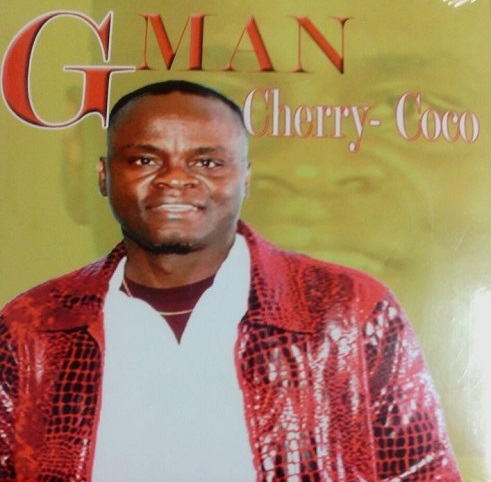 A Liberian recording artist, George Garsua Sikpa, also known as the “Gee Mann” will on Saturday, May 31, 2014 launch his latest CD album “Cherry Coco” in Northeast Philadelphia in Pennsylvania, USA. According to Gee Mann, some of Liberia’s finest musicians will perform at the program. The artists include Zaye Tete, Friday, the cell phone man; Lucky Shango, Marie Nyenabo and Black Diamond. Giving background information about the album, Gee Mann said “Cherry Coco” is an Afro-pop rhythm album, and is one of Liberia’s best produced albums in recent times. There are eight tracks on the album. Gee Mann started his musical journey at an early age with the late Charles D. B. King band in Ganta, Nimba County, Liberia. Apart from playing in the band, his budding talent encouraged him to become an active choir member of schools he attended. His favorite instruments, he said, were keyboard or guitar for the choirs and the Glee clubs, while at the same time exercising his prowess on the soccer field for his school’s team. But his interest was more of being a musician than a soccer player. Therefore, in fulfillment of his dream, Gee Mann released his first cassette album in 1989 entitled: “No Job, No Respect,” followed by another one:” I’m with the CO. ” This album was released during the height of the Liberian civil war. Not satisfied with the two albums already released, Gee Mann hit the musical stand again with a single, “Monkey works, bamboo draws” before migrating to the USA. Upon his arrival in the United States in October of 2000, he immediately began playing in Manhattan’s subways in New York, and later formed the “African Dance Band.” The band, which was a household name on Staten Island, New York, played alongside big names in the African music industry. This strong and hardworking Liberian artist has also played alongside Gebah Swaray of Liberia, the late Brenda Fasie of South Africa, Yousuf Ndor of Senegal, Soukous Stars of Zaire, Majek Fashek of Nigeria, Nimba Bird, Fatu Gayflor, Zaye Tete and a host of other artists from Liberia, America and around the world. Presently, Gee Mann resides in Philadelphia and runs a recording studio called “Gee Mann Production.” The studio has produced more than 30 artists, some of whom include Americans, Nigerians, Sierra Leoneans, Jamaicans, Guineans and Liberians. Since his migration to the USA, his hard work has paid off by releasing four CD albums. Namely: Wada, Wada, Coming home, Lone Star Players Remix (single ft. Lucky Shango) and now “Cherry Coco.” Gee Mann is a producer (audio and video), song writer, an instrumentalist, recording engineer, and an entertainer. His latest album is a block buster. “This is one of my fastest selling albums that I have ever produced,” he pointed out. He can be reached at 267 968 1237.